But if you were an employee receiving those checks, you may not have noticed the increase. If that was the case, you won’t be seeing the usual April refund: You’ve already gotten it, just parceled out into slightly higher 2018 paychecks. Want to get a refund next year? If that’s your goal, Julie A. Welch, a Leawood, Kan., accountant, suggests using the I.R.S. withholding calculator to adjust your paycheck. Most people never bother. 3. 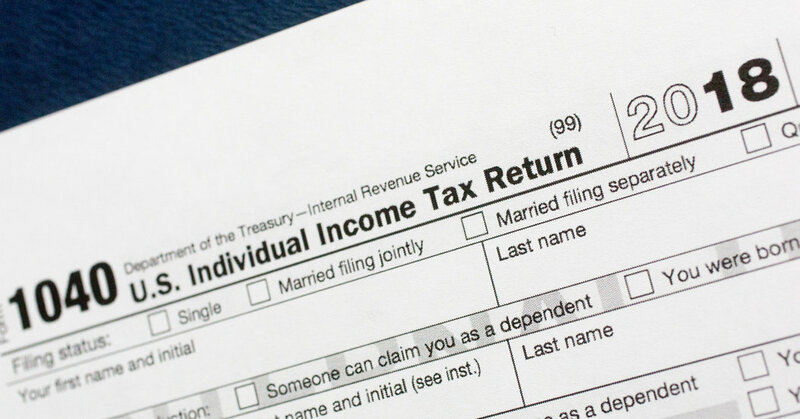 Should I take the standard deduction or itemize my deductions this year? Before breaking down what’s changed, let’s back up and explain the basics: Taxpayers are entitled to take a standard tax deduction amount, or they can itemize their deductions individually; they can deduct whichever amount is higher, resulting in a lower tax bill. Under the new tax law, the standard deduction has doubled (to $12,000 for individuals and $24,000 for joint filers), while several itemized deductions have been eliminated or limited. TurboTax estimates that as a result, nearly 90 percent of taxpayers will now take the standard deduction, up from about 70 percent in previous years. To help you figure out the best choice, the company has posted a three-step interactive tool on its blog. 4. Have any popular deductions and credits changed? What did we lose, and what can I still claim? Dependent exemption: Under the previous law, families were able to claim a $4,050 exemption for each qualifying child, but that deduction has been eliminated. Instead, if you have children under the age of 17, you may qualify for the child tax credit, which was raised to $2,000 from $1,000 for each child. More people will qualify now that the credit begins to phase out at $400,000 in income for joint filers ($200,000 for individuals), according to Claudell Bradby, a certified public accountant with TurboTax Live. The law also introduced a $500 credit for other dependents, which could include elderly parents or children over the age of 17. Mortgage interest: If you itemize, you can deduct the interest paid on the first $750,000 in mortgage indebtedness on loans taken out after Dec. 15, 2017 (on first and second homes). Older loans are grandfathered: You can still generally deduct interest on up to $1 million in mortgage debt on loans taken out before Dec. 16, 2017. Interest on home equity loans or lines of credit are now only deductible if the debt is used to “buy, build or substantially improve” the home that secures the loan. You can no longer deduct the interest if you pay off credit card debt, for example. Alternative minimum tax: Far fewer people are expected to be snared by it because so many of the old tax breaks that set off the so-called A.M.T. have been eliminated or reduced. In addition, the minimum exemption level has increased to $109,400 for joint filers, up from $84,500; and to $70,300 for individual filers, up from $54,300. The exemption begins to phase out at $500,000 for single filers and $1 million for joint filers. Unreimbursed employee expenses: A number of employees’ business expenses that weren’t reimbursed by their employers — like classes and seminars — are no longer deductible. Moving expenses: Workers moving for a new job were once able to deduct related expenses. That has been wiped away, except for members of the military. Tax preparation fees: If you itemized, you could typically deduct the amount your tax preparer charged or similar tax-related expenses, like software bought to file electronically. This is no longer possible, unless you are self-employed. 5. Is it true that alimony is no longer deductible? It depends, said Tyler Mickey, a tax senior manager at Moss Adams in Wenatchee, Wash. Under the previous law, spouses paying alimony could deduct those payments on their returns, while the recipients had to include the income on theirs. That remains the case for divorce agreements finalized on or before Dec. 31, 2018 (unless a couple changes the agreement after then). Therefore it’s true for returns filed this year. But for divorces completed in 2019 and later, alimony payments will no longer be deductible, and recipients will not have to include them on their returns, added Mr. Mickey, who is also a member of the American Institute of Certified Public Accountants’ personal finance specialist committee. 6. I heard that small business owners can’t deduct meals and entertainment anymore. Is that true? It’s half true, said Carol McCrae, a certified public accountant in Brooklyn. You can no longer deduct entertainment or amusement, generally defined as taking a client to, say, a basketball game. But you can still deduct 50 percent of what you spend on meals, as long as you are dining with clients, traveling for business or attending a business convention (or something along those lines). The meals cannot be lavish or extravagant — so forget about the tasting menu at Le Bernardin. Providing meals to employees for an office party or a meeting, she added, are still 100 percent deductible.